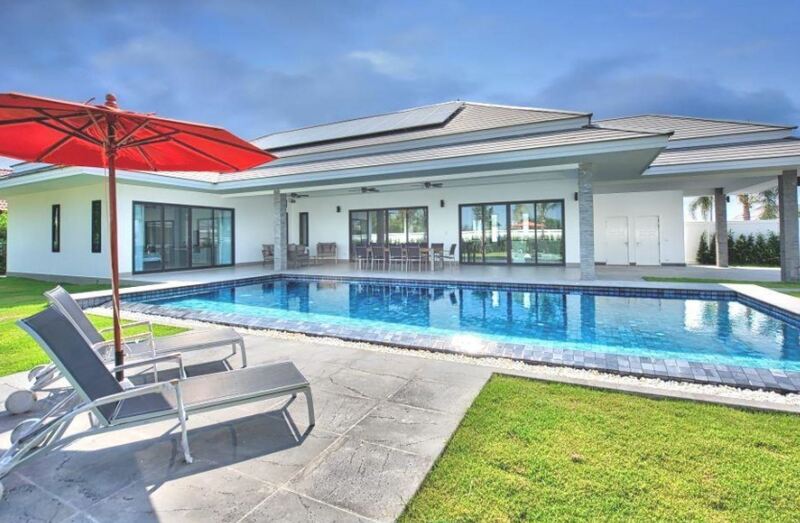 Comprehensive summary of new development luxury pool villas in Hua Hin and Cha-am regions. Please check our website and contact us for viewing. 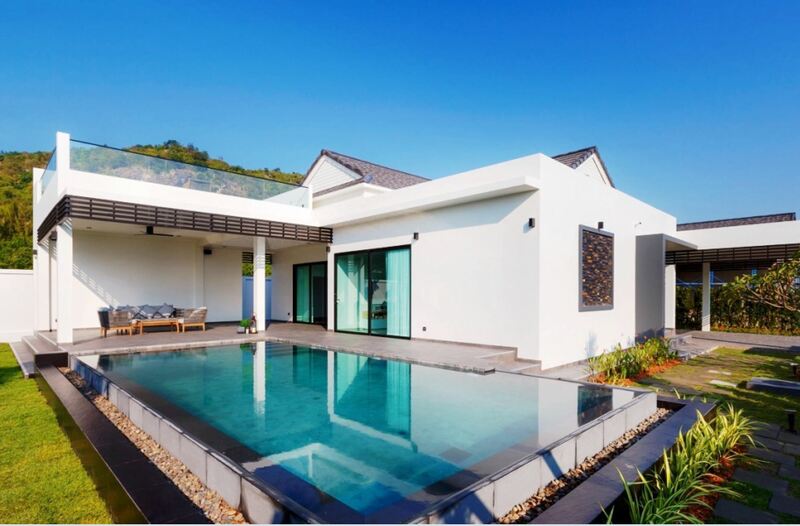 If you consider buying a new home in Thailand’s Hua Hin or Cha-am cities as permanent residence or as an investment object for rental – We can offer several choices of new residential developments in the region. 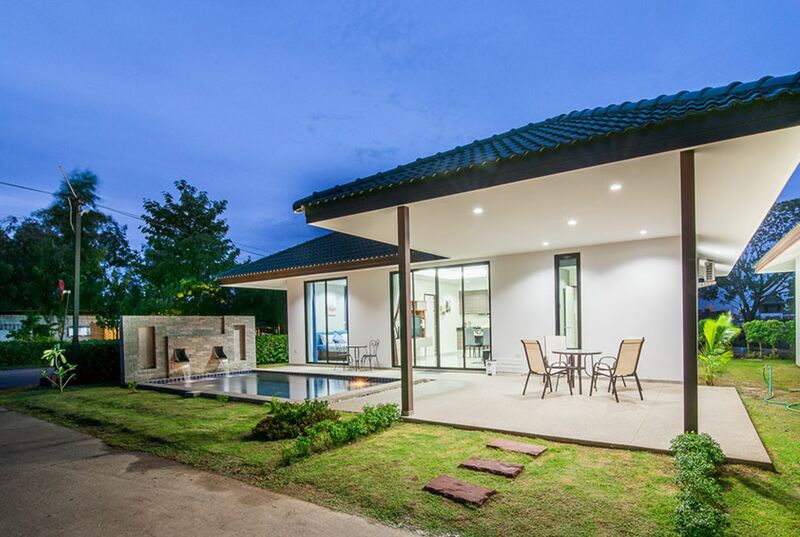 Overleaf find a complete summary of New Development luxury pool villas in Hua Hin. 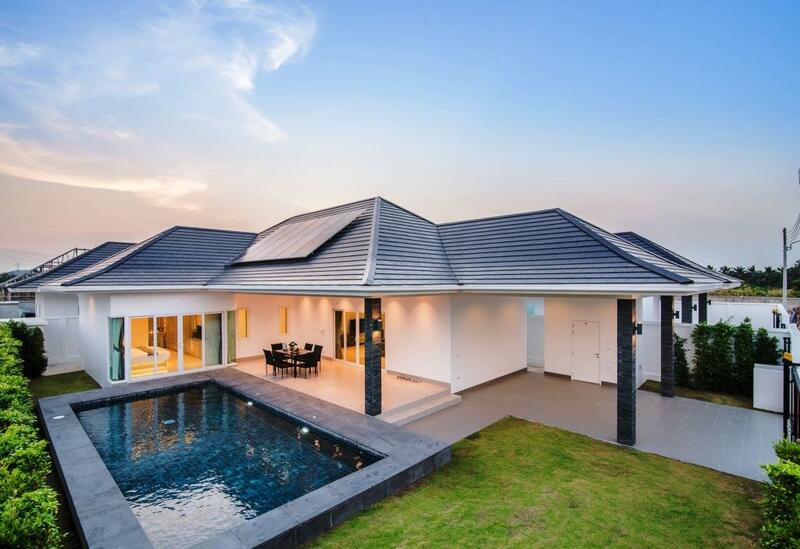 Visit our website for detail at www.dansiam-property.com and check the menu point >Properties>New Developments to see listings of all new developments. 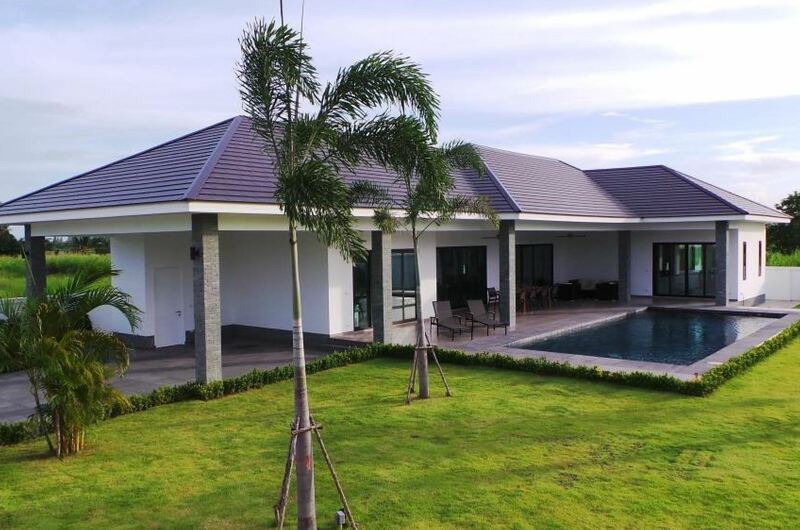 Send us a mail (info@dansiam-property.com) or call for viewing (+66(0)81-860-9611 (English/Thai) / +66(0)81-820-3496 (English/Scandinavian)). b) Houses may be customized to individual needs, including rooms, layout and facilities. Hua Hin is a seaside resort at Gulf of Thailand. Once a quiet fishing village, it grew into a fashionable escape for residents of Bangkok after the 1920s, when the Thai royal family built summer palaces here. Hua Hin Beach, popular for kitesurfing and other water sports, is the main stretch of sand, lined with high-end hotels and seafood shacks. 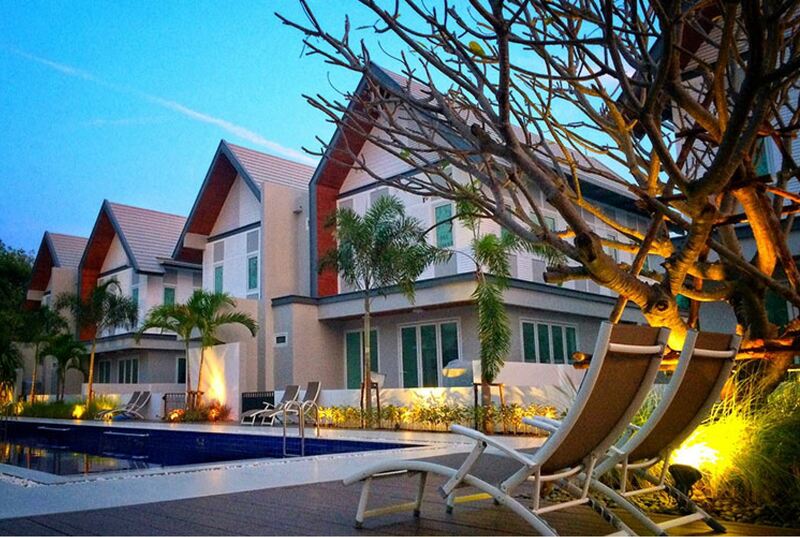 Hua Hin is a premium city for wonderful vacations and permanent living, situated just 2 hours from Bangkok. The population of 90,000 people has a large expat community with a broad mixture of nationalities headed by Scandinavians. There are a wide range of local and western shopping facilities, a variety of international and Thai restaurants as well as many sports activities including Golf, Kite surfing and other water sports. For the golfer, Hua Hin is just the place to go with more than 10 golf courses of international standard. Education facilities are excellent for families with children considering permanent settlement. The climate is brilliant close to the ocean, fresh air and no pollution is normal in Hua Hin. 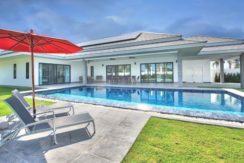 Where ever you wish to settle down in the region, you can enjoy a great nature with beaches and green hill sides and still you will be able to go shopping, dining, golfing and to entertainment within just a 15-minute drive. Hua Hin Airport may soon expand the runway for more international traffic and later a high speed train will take you to Bangkok in just 45 minutes. Further, a catamaran ferry for passengers and cars will soon connect the Hua Hin region with the ports of Bangkok and Pattaya.